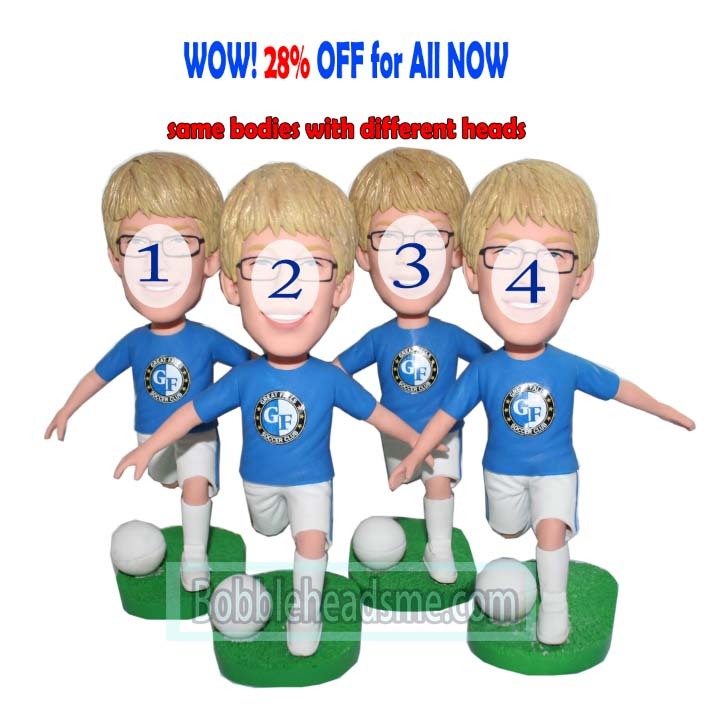 In this section, you can get a big dicount offered by Bobbleheadsme.com. 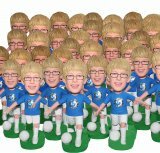 If you are seeking a unique gift for a football player or a football team or a football amateur, this customized bobblehead dolls in blue and white dribbling ball with his right foot is the sencond to none. 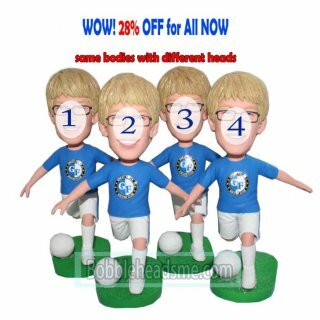 Just upload his/their photos to us, our skilled artist wont let you down.